The Senate has called on oil marketers to as a matter of national interest rescind their seven-day ultimatum and allow the Federal Government a little more time to look into their demands. The oil marketers had earlier given a seven-day ultimatum from November 27 to the Debt Management Office (DMO) to not only pay outstanding subsidy debts but adhere to an agreement reached with Vice President Yemi Osinbajo, failure of which the marketers have threatened to shut down their facilities nationwide. The seven-day ultimatum issued by the oil marketers to the Federal Government is for the payment of all outstanding subsidy debts, including foreign exchange differentials and interest rate component, owed to them. The Chairman of the Senate Committee on Petroleum Downstream, Kabiru Marafa, who raised the matter during Thursday’s plenary session said the action by the marketers if not well checked may result in artificial fuel scarcity during the festive season and through the election period. The Senate also asked the Federal Government to direct all the concerned agencies to immediately pay the subsidy arrears as approved by Federal Executive Council (FEC) and passed by the National Assembly. Oil marketers on Monday, December 3, gave the Federal Government a seven-day ultimatum, to settle outstanding debts totalling N800billion. 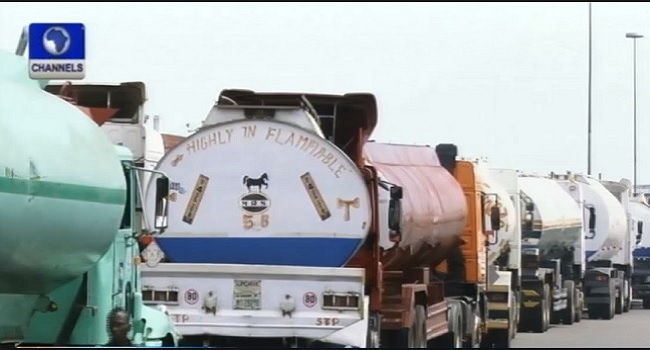 The marketers, comprising Major Oil Marketers Association of Nigeria (MOMAN), Depot and Petroleum Products Marketers Association (DAPPMA) and Independent Petroleum Products Importers (IPPIs), said failure to meet the deadline would also force its members to disengage workers from depots and shut down depots across the country.